The world we live in is a mysterious and ever-changing place, from the phases of the moon and the rise and fall of the tides, to the rising and setting of the sun each and every day. We are blessed to live in an evolutionary cycle where every day leaves us amazed by how rapidly the world changes. In this constantly evolving world, we have come to find that our fashionable self-expression is how we reflect our eccentricities. Fashion is like the seasons: four times a year, we have new featured trends and an entire new selection of color palettes and silhouettes to view. 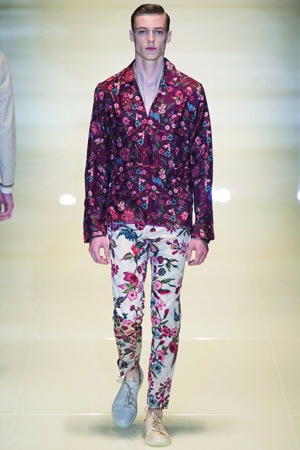 Milan’s Men’s Fashion Week revealed the hottest menswear trends for Spring/Summer 2014. 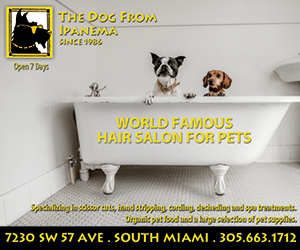 Collections by Dolce & Gabbana, Versace, Prada, Roberto Cavalli, Gucci, Giorgio Armani, Marc Jacobs, Bottega Veneta, and many others were distinct and had something to capture everyone’s attention. Regardless of their age, race, creed or gender, everyone enjoyed the shows. 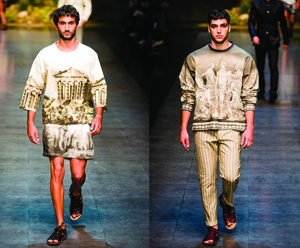 Dolce & Gabbana served up a miscellaneous collection. The collection represents a man who does not bother with sticking to the fashion norms. From snow white and golden tuxedos to striped pants and short-sleeve tops with Roman-inspired themes, everything in the collection creates the impression of a luxurious and stylish man. Giorgio Armani presented a collection for the utilitarian man. This man prefers to always carry what he needs with him, and Giorgio Armani has taken into account this need. Thanks to Armani’s generosity, you can wear a backpack with one of the gorgeous blue or red blazers and stylish wingtips or oxfords. Creative director of Gucci, Frida Giannini, obviously inspired by her motherhood and lovely three-month-old Greta, opted for floral prints and graphic design. The whole collection offers a new view of Gucci’s menswear concepts. It has an evident turn to a younger and funkier audience. The Gucci man manages to stand out even at the office, where everyone looks so boring in those classic black or blue suits. The “Mister Dress-code Revolution” wearing a gray suit with a floral print, might be either fired or promoted for his innovative view of fashion. Donatella Versace was definitely rocking the water-cooler gossip circle with her alternative office wear offerings that ranged from punk rocker in a patterned leather jacket with zippers and metal accents to a gray shorts suit with a tie. She was also keen on a younger demographic with high individuality and a more artistic approach. 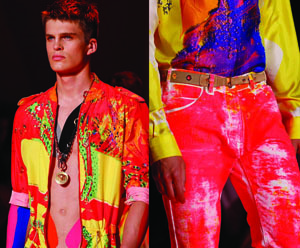 At a glance the Versace man is one vibrant in color, with splashes from every part of the spectrum. 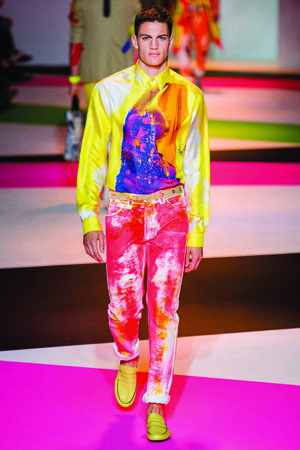 With a palette only found in fireworks and graffiti, Versace’s edgy Spring/Summer 2014 collection encompasses leather jackets, shorts suits,simple T-shirts and button downs chock full of color complexities. by the shopping experience – be honest and truthful to YOURSELF. Fashion is a means of self-expression, and one’s essence is easily conveyed by the threads you wear.